It’s a horror-movie extravaganza in this, the second sequel to Brent Hartinger’s Geography Club! Two complete books in one recount the stories of best friends Min and Russel who sign up to be extras on the set of a zombie film — and learn that there’s nothing scarier than high school romance! 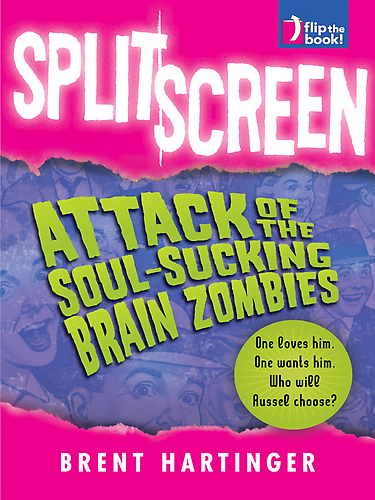 In the first book, Attack of the Soul-Sucking Brain Zombies, Russel must choose between his long-distance boyfriend and a close-to-home ex named Kevin who wants to get back together. 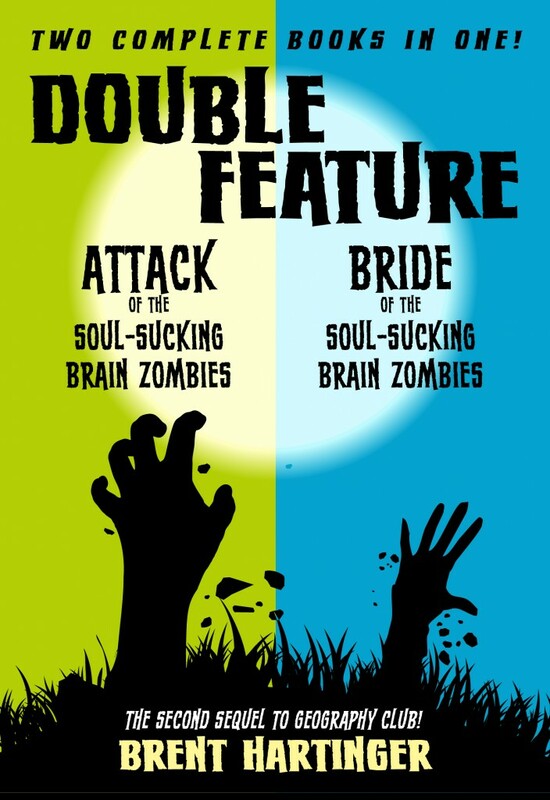 In the second book, Bride of the Soul-Sucking Brain Zombies, Min struggles to accept her cheerleader girlfriend’s decision to stay in the closet. But beware! Russel and Min’s separate stories affect each other in surprising ways — and you’ll have to read both books together to find out the whole story! Split Screen by Brent Hartinger is the 3rd book in the Russel Middlebrook series. I was excited to find out there was another book, as I loved the 1st and 2nd books in the series. What's interesting about this one, however, is that follows the same story, but is told from two different viewpoints: Russel, the main character, and Min, his best friend. The flip-book aspect of the novel is a little gimmicky, but as I read, it ended up really working. I love the different little tid-bits you get from each story, and how they come together to form a clear picture. Russel, Min, and Gunner are again on another adventure together. This time they sign up to be extras in a zombie movie filing in town. But so does Kevin, Russel's ex-boyfriend and the very guy who outed him to the entire school, and now he wants to talk to Russel again! Besides dealing with that issue, Russel's parents find out that he's gay, and that his "friend" Otto is really his boyfriend. They don't take the news very well, especially Russel's mom. Over on Min's side, she's dealing with a crush and attempting a relationship with another extra, Leah. The problem is Leah isn't out to anyone, and expects Min to go along with just "being friends" in public. Min has to decide if it's worth hiding who she is in order to be with Leah. Let's just say there is drama on and off the set. You may think that these heavy issues would weigh the story down, but Hartinger handles them beautifully, keeping things serious but lightening the situations with humor. The strong points of view of each character also helps the issues not bog down the story. Everyone, even Min who is struggling in this book, knows who they are and what they stand for. My favorite scene in the book reflects this. Russel is sent by his parents to speak with a priest about his "confusion". Russel calmly and firmly expalins his beliefs and on some points the Priest agrees with him. I think this really highlights what is possible when people think rationally and listen to all sides of an issue. I think just for this scene alone the book is worth reading, especially in light of the current political situation. Overall, I felt Split Screen was a very good book. You get to see another side to both Russel and Min, which I loved. The zombie aspect of the book made it fun, allowing the issues to breathe a little, and I think a very important discussion goes on, one which GLBT and straight teens need to read about. This is definitely a series that shouldn't go unread, and should be added to any GLBT book list. 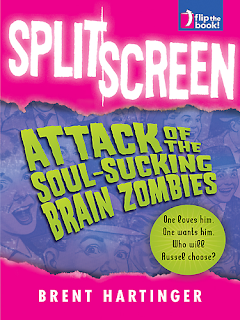 The new title and cover for Split Screen! Read about the change at Brent's blog! There's also going to be a movie based on the 1st book in the Russel Middlebrook series, Geography Club, coming out next year! 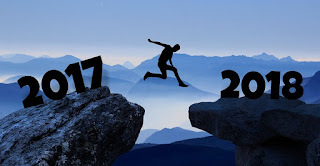 Check out my post to learn more!